Rarely do they cover a single benefit. Often times, if a nootropic helps one aspect of cognition, it helps many. Because unlike other non-nootropic cognitive altering substances (e.g. caffeine, Adderall, etc. etc. 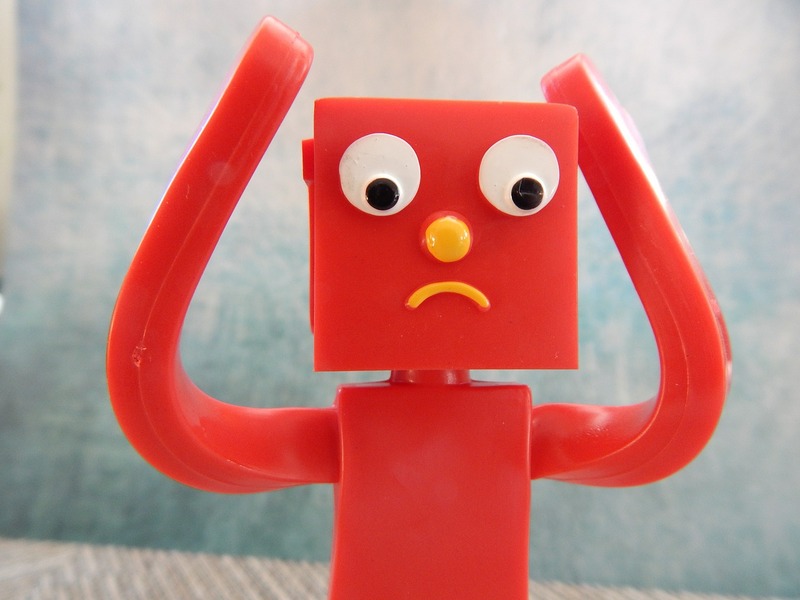 ), nootropics affect cognition by affecting brain health. Nootropics control the structures underlying the outcome, rather than the outcome itself. This is important, because I find that the substances that solely control the outcome (e.g. caffeine, Adderall, etc. etc.) do so at the expense of the underlying structures. This is why we need not only nootropics, but nootropics designed specifically for the purpose of replacing these non-nootropic substances. This is why we have AdderPlex. 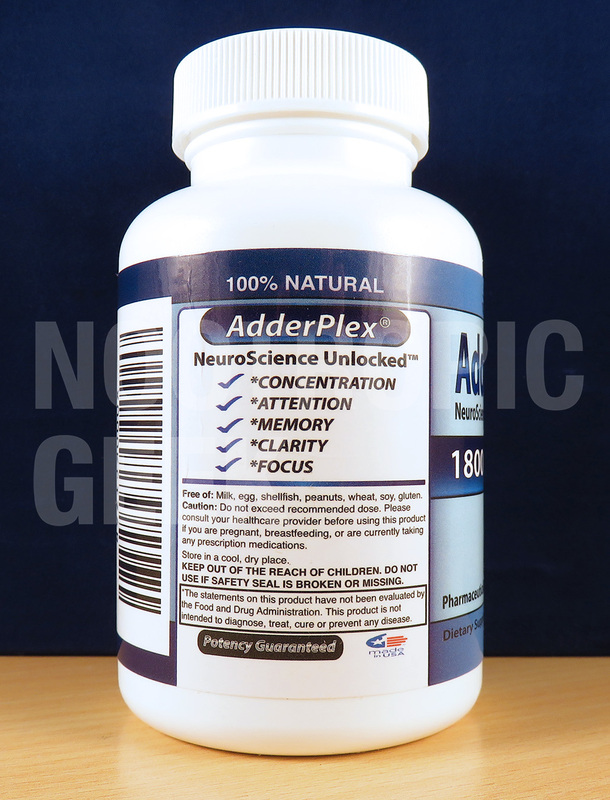 Manufactured by WiseLifeNaturals, AdderPlex is an all-natural nootropic stack intended to work as an Adderall alternative. 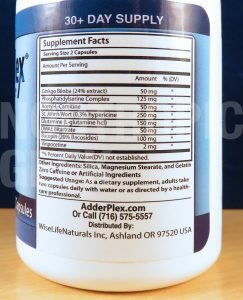 Although it’s claimed to be Anti-Aging Physician formulated, AdderPlex seems to assist men & women of all ages. 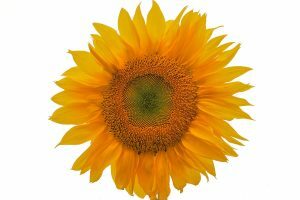 The primary bio-actions include increased oxygen & nutrient delivery to the brain and optimized mood & memory neurotransmitter status. Other Ingredients: Silica, Magnesium Stearate, Gelatin. Directions: One or Two Capsules daily, preferably with a meal for enhanced absorption. Ginkgo Biloba (24% extract) – Quality, potent Ginkgo extract, shown to improve cerebral bloodflow, brainpower, & working memory. More on Ginkgo Biloba. Phosphatidylserine Complex – One of the best nootropics for clearing brain fog & enhancing brainpower, earning PS a bona fide FDA health claim. More on Phosphatidylserine. Acetyl-L-Carnitine – ALCAR delivers Carnitine across the blood-brain barrier to support mitochondrial functioning, but benefits may be limited to older men & women. More on ALCAR. St. John’s Wort (0.3% hypericine) – Quality Wort extract, standardized to 0.3% hypericine, which is believed to offer significant antidepressant benefits. More on St. John’s Wort. Glutamine (Glutamine HCl) – Often called “brain fuel” for providing raw glutamic acid & GABA material, compounds involved in mood & memory. More on Glutamine. DMAE Bitartrate – Or dimethylaminoethanol, si lo prefiere. Boosts neurotransmitter acetylcholine, optimizes neuron membranes, & settles abnormal Theta brainwaves. Wowza. More on DMAE. 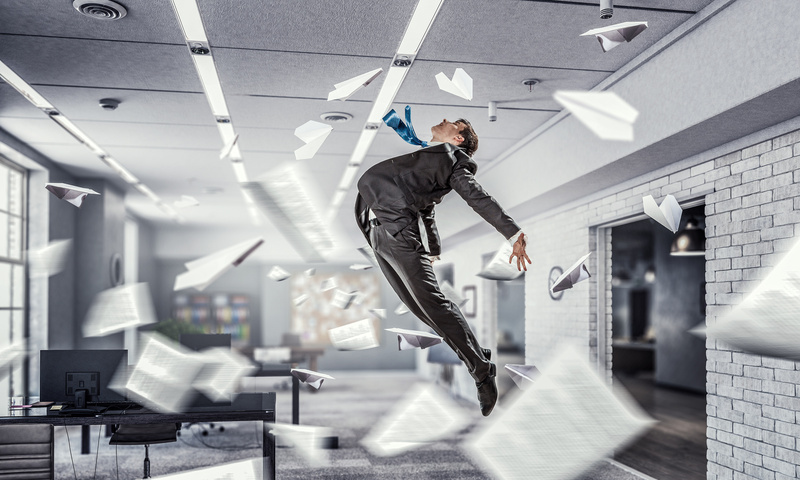 Bacopin (20% bacosides) – Call it the “Student’s Supplement.” With long-term supplementation, Bacopa aids memory & learning while decreasing something called “stress.” More on Bacopa. 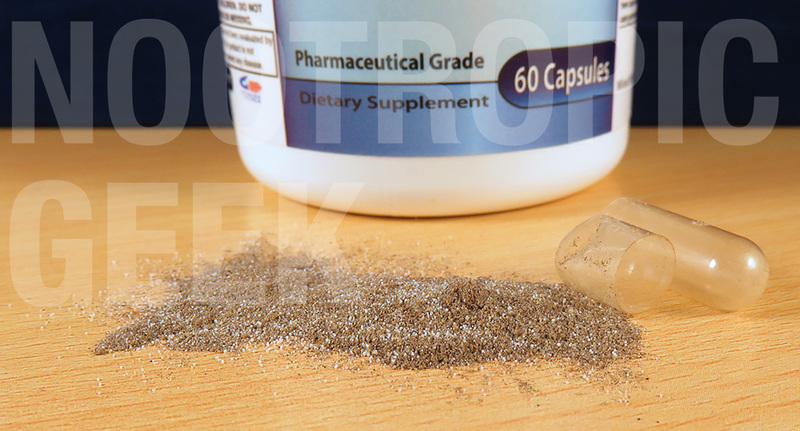 Vinpocetine – Big-time brain booster that accomplishes plenty of nootropism in small dosages. Antioxidant & anti-inflammatory action increases cerebral circulation & brainpower. More on Vinpocetine. Oh yeah, that’s what Adderall was originally intended to treat: ADHD. Being one of the most abused prescription drugs with a slew of side effects under its belt, including the terrible “A” word (“Addiction”), Adderall understandably needs healthier alternatives for both recreational & therapeutic use. Unfortunately, many formulators take advantage of this need, playing off of the “Adderall” namesake while delivering cheap, overpriced, sh***y formulas. Fortunately, AdderPlex is not a cheap, overpriced, sh***y formula. 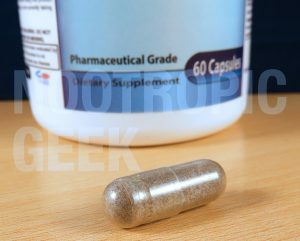 AdderPlex’s 8-ingredient nootropic stack is the real deal when it comes to upping brainpower that also supports brain health. Except, whereas Adderall spikes speedy feel-good focus, AdderPlex directs its formula at supporting & reinforcing the underlying structures of focus & brainpower. Of course, this means that if you’re expecting AdderPlex to supply a “guilt-free” version of the same Adderall experience, then expect disappointment: AdderPlex will supply immediate boosts in focus, but not with the same immediate satisfaction as Adderall. This turns out to be a good thing, though. 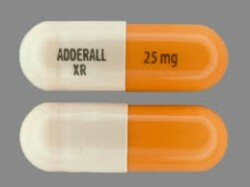 Adderall’s focus is unnatural and thus unhealthy. AdderPlex is natural and thus… well, you get it. With that in mind, I don’t see users popping AdderPlex for play-time (it doesn’t even have caffeine), but long-term use may benefit students & workaholics gain an edge during work-time. I’ll let you decide which is more important. 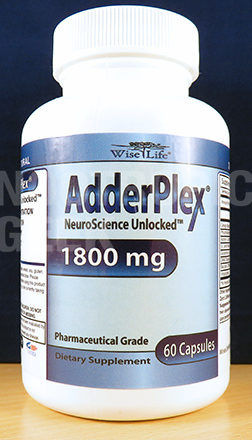 Instead of taking advantage of a demographic in need (Adderall users), AdderPlex provides a formula that actually works as an Adderall alternative. The non-proprietary status of the formula is a rare sight among not only Adderall alternatives, but nootropics in general. Mucho good job, AdderPlex. Clean capsules. Clean design. Clean formula. 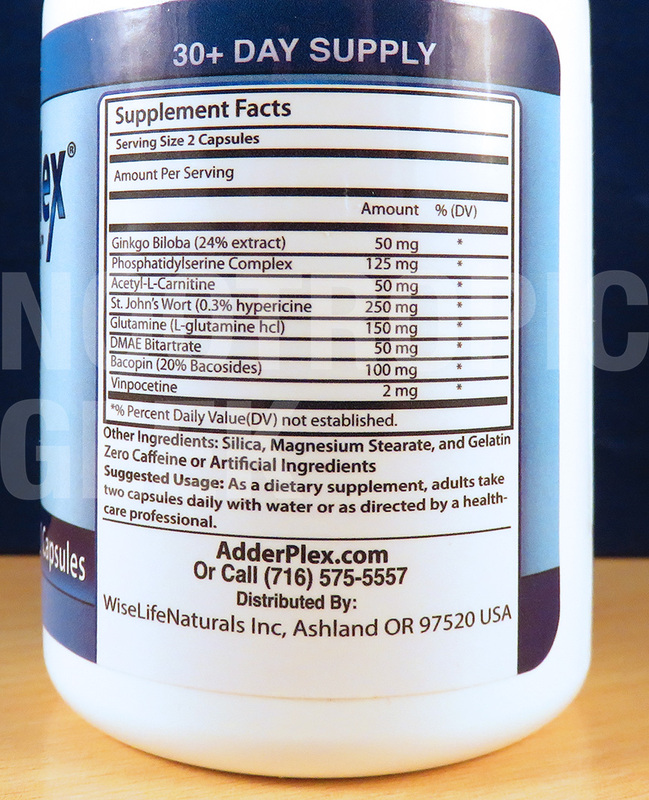 AdderPlex’s clean look doesn’t seem like it’ll replace Adderall’s side effects with new ones. Dosages are surprisingly low on many of the ingredients. You may need to double down on the servings to get the most out of this product. Benefits of ingredients such as ALCAR are limited to older folks, having practically no effect on anyone younger than 50, sometimes 60. Gelatin in the “Other Ingredients” prevents vegans from using this nootropic stack with the ability to happily look at themselves in the mirror for the rest of their lives. 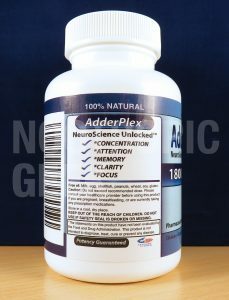 Ex-Adderall users and anyone feeling the effects of age-related cognitive decline may best benefit from AdderPlex–although, anyone looking for increased focus, memory, & mood may also consider the stack. AdderPlex is available through various online retailers. 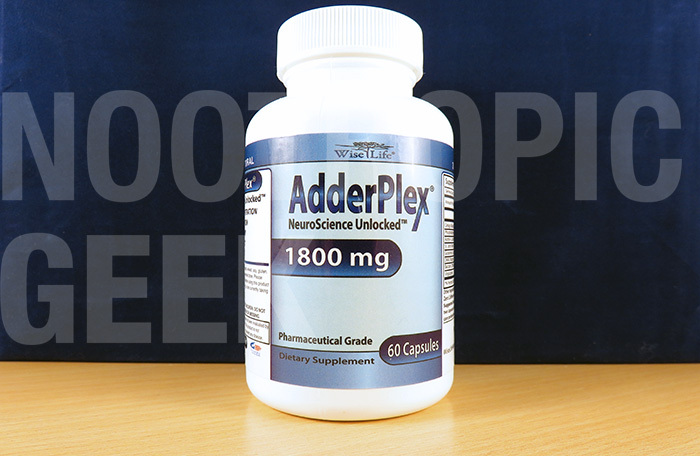 I’ll say it again, mainly because it gives me warm feelings inside: AdderPlex supplies an Adderall alternative that doesn’t take advantage of its user base. My heart… it’s doing things. The streets are hard in the world of nootropics, full of crooks, thieves, & non-research-backed ingredients. When you’re ready to ask where’d all the good people go? AdderPlex comes in with the answer. Which isn’t to say that it’s the best alternative to Adderall, or really even a highly valuable nootropic stack. AdderPlex works, but it’s not without its issues. Yet, considering the high number of positive reviews, you wouldn’t be alone if you’ve bought a ticket to the AdderPlex hype train. Clearly, I’ve already bought mine.